Quickly, I’m wondering if it’s OK to say “I’m really not sure.” A case for one more low move on Silver was shown last week and, in part 1 we discussed how the gold/silver index certainly looks like a nice bottom has been carved. As you can see, I am trying to post the “past moves” to show how we are able to use these moves to try and paint a “yellow brick road” to follow … the only issues w/ our yellow brick road right now is Gold might have put in a good low while silver hasn’t…that divergence leads me to I’m not sure. What would I like to see happen …? Well, as a dollar bull, I would like to see the metals make one more move lower and then we’ll at least have an idea of the path (or a better one — nothing is certain) that they have decided to take. When I say metals I mean Gold and Silver for now. 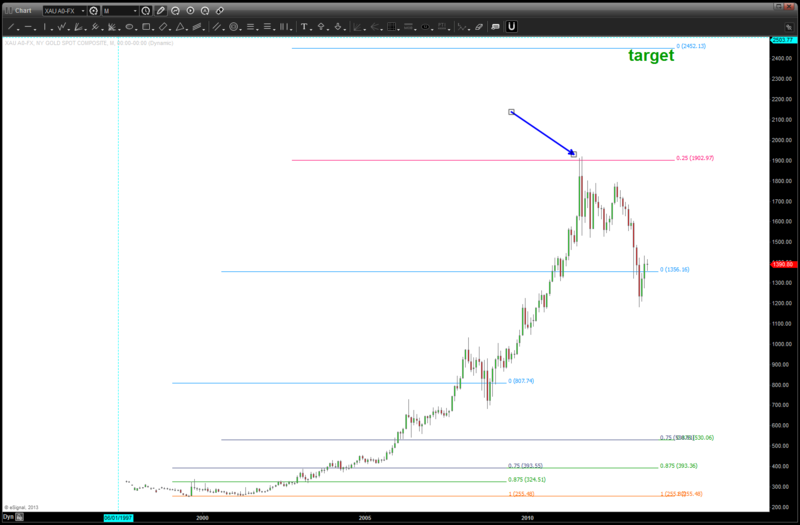 This week I will catch us up on the march up and down of copper and palladium, followed by oil. Lastly, I would like to take the time to personally thank Mike Jenkins (www.stockcyclesforecast.com) for everything he has taught me and continues to teach me …and, of course, my true friend and wonderful man, Larry Pesavento (www.tradingtutor.com) He has helped me in so many ways beyond trading ….two amazing men. Here are the charts …and, just to show you some “music” I am putting a musical gold chart in …. note how the “gravity center” and the last “note” of octave 2 were on top of each other …coincidence? 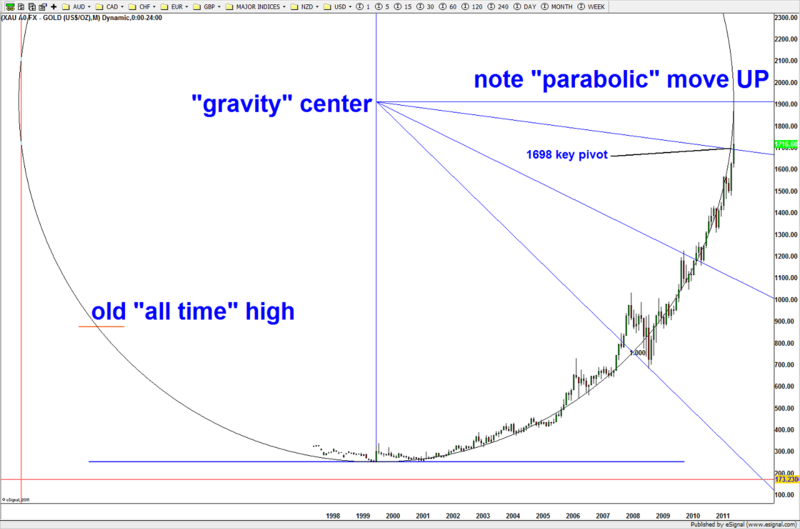 Yes, a complete coincidence because the fundamentals had everything to do w/ it …. or not. the “seed” or “rock in the water” is the initial signal reversal candle (SRC) Use that as the first 1/8 subdivision and march on up ….